Before choosing his apostles, our Lord passes the night in prayer. Apostolic vocations are born in the Heart of Jesus, in his agonies over the salvation of souls, in the ardor of his zeal, and in his prayer. All who are apostles of the Sacred Heart are so in virtue of the favor and special call of the Sacred Heart. There never was and never can be any religious, sacerdotal, or apostolic vocation that is not supernatural. You must receive a particular grace for the apostolate to which you are destined. Do you not realize that this grace flows from that nocturnal prayer, from that prolonged vigil that our Lord made on the mountain before choosing his apostles? Do you think that he thought then only of the twelve whom he was about to call? No. He asked his Father for the grace of the apostolate for all those who would contribute to the spread of his reign, and in particular for the apostles of his Heart. Let us open our hearts to the influence of this prayer. Ask to respond to this call wholeheartedly, to understand everything to which we are called. He who receives the divine call ought to live in continual union with the Sacred Heart. Otherwise he risks losing his vocation. A vocation born in the Sacred Heart can be preserved only there. It lives, is sustained, and developed in the Sacred Heart, as fish live in water and birds in the air. “We wish to live the interior life and to follow the inspirations of grace. In order to do this, a life habitually calm and recollected is necessary. The Word of God is like a gentle breeze which souls do not notice if they are agitated [cf. I Kings 19:11-13].” In writing about the interior life in the Spiritual Directory, Fr. Dehon promoted a style of living that seems monastic. For example, his emphasis on “religious silence” within the house is not easily duplicated in our wired world of instant communications. Among a variety of practices aimed at nurturing the interior life, Fr. Dehon consistently emphasized daily adoration of the Eucharist, “the official Adoration of Reparation, in the name of the Holy Church, to console our Lord and to hasten the reign of the Sacred Heart in souls and among nations.” Explaining this practice, he writes, “In the Eucharist, Jesus is present as a victim, a friend, a benefactor, and a consoler. It is the mystery of love. Let us approach the Eucharist with faith, confidence, abandonment, and love. In their Rule, the Priests of the Sacred Heart reaffirm this fundamental exercise, saying, “In very close relation with the Eucharistic celebration, we meditate on the riches of this mystery of our faith in adoration, so that the body and blood of Christ, food of eternal life, may transform our beings more deeply. Thus we respond to a requirement of our reparatory vocation. In Eucharistic adoration we want to deepen our union with the sacrifice of Christ for the reconciliation of all with God” [# 83]. “Let us love each other as Jesus has loved us, that is to say, generously, faithfully, with disinterestedness, and, if necessary, even to the sacrifice of life. This is the favorite precept of the Sacred Heart of Jesus [cf. John 13:34-35]. Charity immolates itself in patience. It finds an occasion of immolation in the perplexities and vexations of the common life, in the contradictions and pains that the neighbor causes, in bearing with boring and disagreeable characters. If fraternal charity is always necessary in the religious life, is it not especially necessary among the friends of the Heart of Jesus? If any one does not love his brethren and pretends that he loves God, he lies, said the apostle, St. John [I John 4:20-21]. This virtue must be particularly dear to us. It will be manifested by all sorts of kindnesses, harmony, and peace in our relations, by mutual support and the prompt solution of differences that may arise. With the help of our Lord we shall form but one heart and one soul in the Heart of Jesus. In practice, to preserve this perfect charity by the union of hearts and the family spirit, our [community members] will love all in God, as brothers in Jesus Christ, united to his divine Heart. And because pride is often the rock against which charity happens to be bruised, each of them will keep his eyes open to his own faults and closed to the faults of others. They will make it a rule not to entertain themselves by discussing the faults which they believe they have seen in others. On the contrary, they will excuse them and will not speak of them, except in cases where charity and duty demand. They shall esteem each other, sincerely respect each other, and fear to offend each other either by their manner or by their words. They shall be careful to foresee the occasions to help each other, and mutually to render services of a tender and warm-hearted charity to cultivate the union of hearts and the family spirit. Finally, they shall avoid with care divisions which might arise from difference of political or even of theological opinions. The great lesson of charity flowing from the Heart of Jesus, as related by St. John in the discourse after the Last Supper, should be reread occasionally by each one to keep the fire of charity burning in their hearts [John 13:1-17, 34-35; 15:12-17]. Forty-six years later he confirmed in his Daily Notes, “I always love voyages and I make a beautiful one every day, in the best of company. I make the Way of the Cross with Jesus, Mary, and John. Oh, what a beautiful voyage! What a beautiful pilgrimage full of emotion, grace, and tears!” Even in his last days, when confined to bed, he prayed the Stations at night. Yet for Fr. Dehon, the daily pilgrimage was more expansive than the traditional fourteen stations. To “follow our Lord with love and walk joyfully on that royal road of the cross” sensitized Dehon to “the great act of oblation of the Heart of Jesus” begun at the Incarnation. “Coming into the world, Jesus gave himself entirely to God from the first instant. He pronounced his ‘Behold I come,’ in the womb of Mary. The subsequent life of Jesus was no more than the development and the execution of this first act. ‘I go to Nazareth, to the crib, to exile, to my hidden life, to my public life, to my apostolate, to persecutions, to my agony, to the cross, and to the tomb. Behold, I come’.” Gradually, this fundamental attitude imbued Fr. Dehon’s daily life and encouraged him to identify his own journey with that of Christ. The unfolding story of the Dehonian family continues from last week’s posting. The Reparatory Association of the Sacred Heart, founded by Fr. Leo John Dehon, invited clergy and laity to collaborate with the Priests of the Sacred Heart in promoting devotion to the Heart of Jesus through the prayer and service of its members. Over the years, this Association, characterized by adaptation, welcomed diverse expressions and even inspired other affiliations. Former students of the seminary run by the Priests of the Sacred Heart, in Albino, Italy, first gathered in 1950 to form the Dehonians Association. The Friends of Jesus movement began in 1962 so that children could also participate in the spirituality of Fr. Dehon. In 1965, former SCJ religious and students, as well as their friends, organized the Dehonian Union within the South Italian Province of the Priests of the Sacred Heart. The Portuguese Province adapted the Reparatory Association of the Sacred Heart to establish, in 1975, a group for 9-16 year olds, one for 16-25 year olds, and one for adults. Those who at one time lived as seminarians in House of the Sacred Heart, in Trent, Italy, formed the Dehonian Association Fr. Franceschetti in 1981. In San Antonio, Texas, the parish-based SCJ Family Associates began meeting in 1983. The North Italian Province established Sint Unum in 1986 to support the recruitment of vocations—priests, religious, and lay—in the Church. The Young Lay Dehonians of Portugal began meeting in 1988. For several years in the early 1990’s the United States Province experimented with a Dehonian Lay Missioners Program. Then in 1995, the Province gathered its lay employees for the first Mission Awareness Conference. Four years later, the Province established SCJ Schools in Collaboration, a cooperative effort to promote the values of Fr. Dehon among students and staff. Multiple adaptations of the lived spirituality of the Priests of the Sacred Heart are the mark of God’s creative Spirit even when these expressions develop as autonomous Institutes. SCJ missionary Bishop Demont founded the Missionary Sisters of the Sacred Heart in South Africa in 1929 and shared with them the spiritual heritage of the Priests of the Sacred Heart. Similarly in 1936, SCJ missionary Bishop Verfaillie founded the Congolese Congregation of the Holy Family. In writing two formation books, “Total Gifts” and “Ecce Ancilla Domini,” SCJ missionary Bishop Wittebols transmitted to these Sisters the spirit of Fr. Dehon. Blessed Anuarite Nengapeta, virgin and martyr, was a member of this Congolese Congregation. In Spain, in 1950, Fr. Moya, SCJ, founded the Reparatory Institute of consecrated women living a secular life. Seven years later in Italy, Fr. Elegante, SCJ, founded the Missionary Company of the Sacred Heart, an international Secular Institute for women now present in eight countries. This Institute gave birth to Family Members, its own association of men and women, married and single. In 1974, Brazilian SCJ Fr. Böing established the religious Congregation of the Marian Fraternity of the Heart of Jesus. In Portugal, Fr. Gritti, SCJ, founded the Secular Institute of the Missionaries of the Merciful Love of the Heart of Jesus in 1992. This Institute, with separate branches for consecrated men, women, and priests, also has an association of lay people who share their spirituality. Two religious communities of women influenced Fr. Dehon and collaborated with him as he discerned the foundation of his Congregation. In his writings, Dehon refers to these two communities as “co-foundresses.” For this reason, even though they existed before the Priests of the Sacred Heart, the contemplative Sister Victims of the Sacred Heart of Jesus and the apostolic Sister Servants of the Sacred Heart of Jesus of St. Quentin share not only the same spirit of reparation but also a familial association. As evidence of God’s continually creative Spirit, Silvia Bertozzi discerned her vocation while collaborating in ministry with the SCJs in Mozambique. On the Feast of the Sacred Heart 2008, she committed her life as a consecrated virgin in accord with the spirituality of Fr. Dehon. Presently, the Dehonian Family is a “communion of vocations.” The Priests of the Sacred Heart, Lay Dehonians, Consecrated Individuals, and Institutes of Consecrated Life are linked together by Leo John Dehon’s spiritual vision and mission. In the words of the Spiritual Directory, they are to make their prayers continual and keep themselves in habitual union with the Heart of Jesus, to make their works perfect by performing them carefully, and to accept their sufferings willingly and bear the cross joyfully for the advancement of the reign of the Sacred Heart. After a great deal of consultation and discernment, Fr. Leo Dehon professed the three vows of poverty, chastity, and obedience on June 28, 1878, and took the religious name, John of the Sacred Heart. With this public act, he founded the Oblates of the Sacred Heart of Jesus, an apostolic religious community that would later be known as the Priests of the Sacred Heart of Jesus. While still the only member of this religious community, Fr. Leo John Dehon sought the collaboration of clergy and laity by founding, under the authority of the local bishop, the Reparatory Association of the Sacred Heart. Members of this Association participated, by varying degrees, in the spirituality and work of the Priests of the Sacred Heart of Jesus. Characterized by adaptation, the Reparatory Association of the Sacred Heart changed its name eight times, reformulated its specific purpose occasionally, and for at least five years, lost its balanced emphasis on prayer and action. As first conceived, the Reparatory Association of the Sacred Heart promoted devotion to the Heart of Jesus through the prayer and service of its members. The specific intention of its efforts focused on a holy and dedicated clergy, and the coming Reign of the Heart of Jesus. The Association’s two degrees of membership differed only in the intensity of commitment. Both Associates and Aggregates committed themselves to a life of prayer, sacrifice, and service, but the Aggregates agreed to abandon themselves completely to the will of God and live, as Fr. Dehon described it, as victims of love. On February 8, 1889, the local bishop officially approved the Reparatory Association and Fr. Dehon articulated its direction as working toward the establishment of the Reign of God in souls and in society. In that same year, he began publishing a magazine entitled, “The Reign of the Sacred Heart in Souls and in Society,” in which he championed the social consequences of the devotion to the Heart of Jesus. In writing for the magazine, he occasionally spoke of the Association, indicated its purposes, and addressed its members. Between 1897 and 1902, the local bishop named as director of the Reparatory Association a member of the Priests of the Sacred Heart other than Fr. Dehon. With the appointment of Fr. Blancal, SCJ, as director, Dehon’ social commitment was lost. Working to transform a world wounded by social sin was not as important as consoling the Heart of Jesus wounded by personal sin. The next director, Fr. 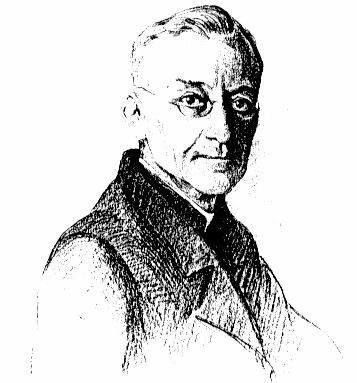 Prévot, with the blessing of Dehon, wrote a manual for the Association, entitled, “Love and Reparation.” In it, he meditated on the victim of love spirituality, which he considered the foundation of a fruitful apostolate, but did not stress the apostolate as a necessary commitment for members of the Association. By 1919, however, the dual commitment to prayer and service was reestablished. In 1923, the Association needed to adjust its statutes to conform to the new Code of Church Law. It also dissolved the distinction between Associates and Aggregates. With the authorization of the Pope, it became a worldwide association “of prayer and sacrifice for the extension of the Reign of Jesus on earth, for the triumph of the Church, and for an increase in priestly and missionary vocations.” At this time, the Association reached its peak of 50,000 members. The unfolding story of the Dehonian Family will continue in next week’s posting. Our Lord announced the foundation of the religious life in his answer to the young man who asked him what to do to be more perfect. “If you wish to be perfect, go, sell your possessions, and give to the poor, and you will have treasure in heaven, then come, follow me” [Matthew 19:21]. The religious state is a state of perfection, or at least a state striving for perfection. Our Lord points out the conditions: namely, to leave family and live in chastity, to renounce one’s possessions and live in poverty, and to obey our Lord or his representative. Our Lord calls those he destines to this state by a special and personal vocation. The religious vocation is a great favor; it is a manifestation of a choice, of a preference for our Lord and his guard of honor; it is knighthood in the Church. Religious profession is, therefore, an honor; but it is also a serious act which should be prepared for and reflected upon, because it imposes duties and responsibilities. To make profession is to consecrate one’s self to God without partition or reserve, and to contract the obligation of following Jesus Christ by the practice of the evangelical counsels. These counsels are opposed to the three concupiscences which lead man to sin. They are, therefore, at the same time a preservative and a reparation. The vows of poverty, chastity, and obedience, which formally constitute the religious state, are common to all Institutes. However, there is a difference in their practical application in accord with the special end proposed by each Institute. The Priests of the Sacred Heart of Jesus should understand that they are to attain the perfection proper to them by perfect observance of the regulations which determine for them the meaning, the import, and the practice of their vows in conformity with the end of their vocation. Their vows should be pronounced and fulfilled in the spirit of love and immolation proper to them. While traveling through Canada and the United States on his trip around the world, Fr. Leo John Dehon often commented about things done “in the American style,” by which he usually meant “quickly and efficiently.” Yet, one particular aspect of life in America completely unsettled him. Believing Roman Catholicism was the only authentic expression of Christianity and coming from France, which at the time promulgated anti-Catholic laws, Dehon was surprised and occasionally shocked at the casual mingling of Catholics and Protestants. During his trip around the world, occasioned by the 1910 International Eucharistic Congress in Montreal and his desire to explore mission possibilities for his Congregation, Fr. Leo John Dehon visited Canada and the United States. He sailed to New York; traveled south to Philadelphia, Baltimore, Washington, D.C.; southwest to Atlanta, Tuskegee, and New Orleans; north to St. Louis, Dubuque, and Chicago; east to Detroit; northeast to Niagara, Toronto, Montreal, and Quebec; west to Ottawa, Winnipeg, Wainwright, Edmonton, St. Albert, Calgary, and Vancouver; south to Seattle, San Francisco, Los Angeles, San Diego, and Tijuana; and back north to Los Angeles, Santa Catalina, Ventura, Oakland, Berkeley, and San Francisco, where he departed on ship to Asia. “San Francisco is a Tower of Babel,” he wrote in his diary. “Half the residents are foreigners: Germans, Irish, French, in addition to Japanese, Chinese, Mexican, Filipino, Hawaiian, and others.” Everywhere he saw a mix of peoples. “Since 1822, the United States has welcomed 28 million immigrants. One of the biggest problems facing the United States is how to preserve a national identity when such an extraordinary variety of peoples from every corner of the globe are flooding its boarders each year. As a voluminous writer, Fr. Leo John Dehon earned the epithet, “The man who lived with pen in hand.” He kept a diary, wrote an account of his life, composed numerous newspaper articles, and authored social and spiritual works. For the computer literate, it is difficult to imagine that all this was originally written by hand. In addition, he carried on a vigorous personal correspondence, which he sometimes mentions in his diary, particularly at the turn of the year. Personal correspondence was such a natural part of Dehon’s life that a few days before his death he scribbled a note to his assistant, Fr. Philippe, instructing him to send feast day greetings to a long-time acquaintance of Fr. Prévot, a member of the Congregation who had died twelve years earlier. It seems Fr. Dehon died with pen in hand. “What vibrant memories, what deep impressions those two wonderful days of the 19th and 20th of December, 1868, have left with me,” Leo Dehon recalled as he reflected on his ordination to the priesthood. “I had made my retreat at Santa Chiara with Fr. Freyd. The morning of the 19th I was at St. John Lateran for the ordination. “The sanctuary of St. John Lateran is indeed exceptionally suited for ordinations. There, upon those flagstones, since Constantine, thousands of bishops and hundreds of thousands of priests have received the holy oil and mostly at the hands of the successors of St. Peter himself. There indeed is the main source of the priesthood and the apostolate. “We were two hundred candidates for Holy Orders, among whom were religious and secular clerics, of all nations and all dress: sons of St. Benedict, St. Francis, St. Dominic, and of twenty other religious families; Italian, French, English, German, Spanish clerics, and missionaries destined for the Orient, Africa, India, and Oceania. “My good parents were behind me, shedding tears unceasingly. My father could not eat that day. The impressions produced by ordination could not possibly be put into words. I arose as a priest, possessed by Jesus, entirely taken up with him, of his love for his Father, of his zeal for souls, of his spirit of prayer and sacrifice. “After the ordination, I went to remove my vestments and turning around, I found my mother on her knees before me to receive my first blessing. That was too much! I broke out in sobs and returned to the seminary escorted by my parents. I was worn out by emotions. My father was completely won over. He promised to receive communion the next morning at my First Mass. The first temple and tabernacle in which the Word of God made Man reposed, in which he reigned with delight and joy, was the most pure bosom, the virginal heart, the Immaculate Heart of Mary. The Temple of Solomon, dedicated to the true God, was adorned in the most magnificent and richest manner; but this living temple of the Holy Spirit, which the Son of God chose as his place of abode, was still more magnificently adorned. The former was interiorly adorned with the purest gold, but in the Heart of Mary was found the gold of the purest and most perfect charity. The Temple had lamps and its perpetual fire; in the Heart of Mary the glowing lamps of her love burned night and day. The doors of the temple were of incorruptible wood, the symbol of the purity that should be there; but with her who is called the Gate of Heaven, could anything impure or corruptible ever find entrance? No, not even the shadow of sin. From the first instant of her Immaculate Conception she radiated with the brilliancy of the purest holiness, purity, and perfection. Were not her virtues also pearls and most precious stones, the rarest metal, the most refined and pure gold? Were they not the emerald of hope, the topaz of faith, the ruby of holy and pure love, and the sapphire of constant contemplation of her God, her sovereign Good? This mother of beautiful love was all love, holiness, and perfection; and her virtues adorned the House of God and of her Son, like rich ornaments of paintings, jewels, flowers, and perfumes. She was the living ark of the covenant where not only the tables of the Old Law reposed, but also the Lawgiver himself of the New Law, the law of love. Her heart and that of St. Joseph were like the seraphim which stood before this ark in adoration, reverence, and love. Some saints, entranced with admiration and enthusiasm for the beauty, holiness, and amiability of Mary, called her a conqueror of hearts. The beauty, grace, and sweetness of her virtues first conquered the Heart of her God and caused him to take flesh and dwell within her. She understood that the possession of hearts, the return of love, was the wish of the Heart of her Son. She loved all that our Lord did and suffered for it. For this reason Mary would like to inspire all hearts and bring them to love our Lord with a real love, with an undivided love. With the sweet force of her love, the power of her intercession, the tender solicitude of her maternal heart, this Mother of eternal love seeks to gain and conquer hearts for her Son. Did she not therefore cooperate in the work of reconciliation by the sacrifice of her divine Son? In this letter, he emphasizes that “It is not enough to read our Constitutions superficially, the precious code of our religious obligations, but we should read them again and again without ceasing, study them with care so as to have thorough knowledge of their prescriptions, penetrate ourselves with their spirit, and direct our lives by them. “We ourselves will work with our consultors at preparing a canonical and practical commentary on our Constitutions. We hope to complete it, at least in its major aspects, for the next General Chapter, to which we will submit it. “You will notice that the first pages of the Constitutions on the purpose of the Work and its spirit have been adopted by the Holy See just as they were. It is indeed, then, in the name of the Church and consequently in the name of our Lord that we should walk our customary path: devotion to the Sacred Heart, zeal for his reign, the spirit of love, of reparation, and of immolation, regular adoration of the Blessed Sacrament, the interior life, and the practices recommended by our beloved Constitutions. In the midst of this government persecution, Fr. Dehon attended to the needs of Fr. Blancal, who at 79 years of age began failing. “He can hardly be moved, no longer saying holy Mass, received Extreme Unction again. On some days we expect him to die, and then he bounces back a little.” When living at the House of the Sacred Heart was no longer viable, Fr. Dehon writes, “I finally transported him to Fayet where he died quietly without suffering.” His concern for Fr. Blancal is notable since at the Fourth General Chapter this priest opposed Fr. Dehon’s leadership of the Congregation. Today, Priests of the Sacred Heart plan for their retirement, which usually entails graciously stepping back from full-time ministry. Most often, however, it does not signal a complete break with a lifetime of serving people’s spiritual and material needs. Indeed, as life expectancy increases, retired Priests of the Sacred Heart can serve the graying population by modeling the art of embracing the aging process. Diminishment, and even infirmity, while often considered negatively, can be a powerful expression of oblation. By offering to God with love whatever the aging process brings, an individual releases the very human desire to control and relaxes into a new way of being with its particular set of graces and limitations. At 72, when for health reasons he had to decline several invitations to preach retreats, Fr. Dehon wrote, “It hurts to be forced to refuse the exercise of the apostolate. I so much want to work for the reign of our Lord!” Like most dedicated ministers, he equated the apostolate with a flurry of activity. Perhaps the grace of our day is to discover that one of the exercises of the apostolate is a wholehearted welcome of the slow-paced, laughter-filled, and sober-eyed reality of aging. We have already sent into God’s presence a vanguard of 50 religious. It is our best endowment. Death in the Sacred Heart is a happy one. All our dead have offered their lives for the reign of the Sacred Heart, for reparation, for the Society, and for the sanctification of consecrated souls, so dear to Our Lord. The beloved Fr. Alphonse Rasset was my first companion, my assistant general, and one of the best advisors. He was present at my first vows, June 28, 1878, and became a postulant on that day. He shared in all my sufferings and he had his own. Crosses were abundant: political persecution, sufferings from illness, troubles in the family, and a thankless ministry at Marchais. He had done much missionary work. He was the confidential friend and counselor of many priests. He devoted himself to the Workers’ Guild. He died on November 4, 1905, after several years of sufferings and a very painful operation. Another of our early members, whose saintly life has left us many most edifying memories, was Fr. Modeste Roth. He was as modest as his name. How regular, how humble, how devout, how obedient he was! He did everything well. He passed on to God on March 3, 1904. Fr. Blancal was one of our consultors. Driven by force from his beloved House of the Sacred Heart [Editor’s note: because of the French government’s appropriation of the property], he went to Fayet to die as a true confessor of the faith. I saw him breathe his last, like that of Fr. Rasset. He died on December 1, 1905. His last words were these: “I die in the love of the Sacred Heart; I die in the peace of the Lord.” He was laid to rest in our vault with Frs. Rasset and Roth. These three priests have been zealous and saintly apostles who were esteemed and loved throughout the Diocese of Soissons. My saintly assistant, Fr. André Prévot, died on November 26, 1913, at Brugelette. Opinion regarding him is unanimous: he was a saint. He lived by faith, sacrifice, and immolation. He had been Novice Master for twenty-three years. His perpetual smile indicated his peace of soul. He wrote the book, “Love, Peace, and Joy.” He lived by that spirit before he described it. Several of our young members died in the novitiate or in the scholasticate. They have edified us greatly by their devotion, their patience, and their abandonment to the divine will—pious novices like Fr. Sanctus and Fr. Quentin. Our generous missionaries went to die gladly in Ecuador, Brazil, and the Congo. Seventeen have given their lives in the Congo. A saintly cardinal told me that the very fact of going there in the face of death merits a martyr’s palm in heaven. The Sacred Heart has already given us a beautiful group of saintly souls who are the foundation of our Society. Truly, we have had some good priest-victims of the Sacred Heart. Fr. Leo John Dehon, SCJ, compilation from his 39th Circular Letter and Daily Notes of 1913, 1916, 1919. “Money worries from the beginning,” Fr. Dehon writes as he recalls the first year of the foundation of the Priests of the Sacred Heart. Thereafter, his diary is peppered with similar phrases, such as, “growing money problems,” “debts,” “great losses of money,” “huge money problems,” and “enormous money problems.” In addition to dealing with the growing pains of the Congregation, he had to deal with a contested will, a spurious lawsuit, and a retracted gift. How intensely Jesus desired vocations! He had gone about through every town and village preaching in all the synagogues and healing the sick. He had seen the multitudes, without education, without direction. He had compassion for them. “They are like sheep without a shepherd,” he said. These crowds were indeed debased by moral and physical misery. And Jesus said to his disciples, “The harvest is plentiful, but the laborers are few; therefore ask the Lord of the harvest to send out laborers into his harvest” [Matthew 9:36-38]. Jesus loves children; he blesses them, and his blessing sows the seed of vocations. He gathers the children around him; he shows them that he is their friend. “Let the little children come to me,” he says to his apostles [Matthew 19:14]. A well-disposed young man comes to him. Jesus would have liked to make an apostle of him. “Go,” he tells him, “sell what you own, and give the money to the poor, and you will have treasure in heaven; then come, follow me.” The youth is wealthy, he resists grace, and Jesus is sad [cf. Mark 10:17-22]. One day our Lord called a little child to him and talked to him. He admired his guilelessness, his simplicity, and said to his disciples, “There is your model; be as simple as children.” Adding, “those who receive children in my name, receive me” [cf. Matthew 18:1-5]. What an encouragement for us to take care of children, to devote ourselves to their welfare, to seek and to foster vocations in pure and guileless hearts! Before our Lord called twelve apostles, he wished to spend a long time in prayer. He withdrew to a mountain—one prays better in solitude—and passed the entire night in prayer [Luke 6:12-13]. What an example! How we must pray to obtain vocations and to make them fruitful! It was after this prayerful vigil that he chose his disciples and apostles. It was after his long fast in the desert, after the trial of his temptations, that he called the elect among his apostles: Peter and Andrew, James and John. He sets before them at once the ideal of the apostolate. “Follow me, and I will make you fish for people” [cf. Matthew 4:18-22]. He does not say, “You shall be rich, honored, listened to.” He tells them, “You will bring people to God.” It is a vocation free from all entanglement—a pure vocation—that we must aim at inspiring in children and the young souls under our care. In August of 1873, Fr. Leo Dehon, along with members of his St. Joseph Youth Center, joined a Workers’ Union pilgrimage to the shrine of Notre Dame de Liesse. Two months later, Dehon established a Catholic Workers’ Union for the older members of the Youth Center. A week later, the parish pastor blessed their banner. The purpose of this Worker’s Union was to help the young men understand their rights and duties as laborers. Among other offerings, Fr. Dehon taught them a course in social economy. No doubt, this seminal experience shaped Fr. Dehon’s articulation of the need to empower the working class to obtain a living wage and humane working conditions. In 1894, with over 20 years of experience, Fr. Dehon published Christian Social Manual. The first part consists of a study on “Social Economy.” In the second part, which is a practical guide for establishing social works, he writes the following. “We were feeling even at the beginning of this century that the world of work was experiencing a malaise. The problem has grown. We have been struck by the nation’s weakness in time of war and by the anarchical unrest which emerged at the time of the Paris Commune. We have sought a remedy. “Corporations [Editor’s note: this term refers to unions] are the natural organs of social life. They have their well-defined place between families and higher levels of society such as cities, provinces, and kingdoms. They bring together people who have a common occupational interest. Their immediate purpose is temporal. In a Christian society, they are animated with a religious life by the confraternities with which they are linked. Objecting to the French government’s attempts to control any group over which the Catholic Church might have influence, Dehon insists, “We must act by going through every outlet which is open to us in order to bring the corporate ideal closer to realization, that ideal whose principal elements are autonomous and free association, grouping members of the same occupation with a view towards protecting the honor of the trade and occupational interests; with the right of ownership and jurisdiction supplemented by a religious bond and providential and aid-giving institutions, and participation in social and political life through public representation. “The recent modification to the Guidelines for the Work [Editor’s note: written by the founders of the organization, Works of the Circles] tells us that we must understand the word, work, in its broadest sense, and that we could also very well call it the Organization of Catholic Workers’ Associations. “We are building on the same foundations, including Catholic statements, the participation of workers in the internal government of the associations, and the commitment of the managerial class towards the workers. It is within this spiritual practice that Margaret Mary experienced a series of revelations as she prayed before the Blessed Sacrament. She understood that Jesus was calling her to be an agent for raising consciousness concerning his loving heart and for promoting ways to express love in return. While on his trip around the world, Fr. Dehon visited the Field Museum of Natural History in Chicago. “The people of all parts of the world are represented here,” he entered in his diary, “as well as the ancient Indian tribes of America.” He admired carved wooden statues of the Eskimos; ancient red and gray vases from Hopi ruins; and feathered headdresses, baskets, iron hatchets, and snowshoes of the Apaches. Perhaps these artifacts heightened his awareness of these native peoples as he traveled across Canada and down the west coast of the United States. Ten years after Fr. Dehon recorded these words in his diary, the Priests of the Sacred Heart from the German Province began ministering to the Lakota people in Lower Brule, South Dakota, and soon after established St. Joseph’s Indian School in Chamberlain, South Dakota. These ministries proved to be the beginning of the establishment and growth of the United States Province of the Priests of the Sacred Heart. Seven years earlier, in the midst of a growing anti-Catholic political climate, Fr. Dehon initiated an apostolate of visibility in St. Quentin, France. Two of the first members of the Priests of the Sacred Heart, Frs. Rasset and Charcosset, walked through the neighborhoods every Friday dressed in their cassocks. Initially, this unusual site garnered derisive jeers, but it didn’t take long for their kindness to elicit respectful greetings. Because the Priests of the Sacred Heart began as a diocesan institution, local needs were the first priority. In addition to staffing St. John’s High School, the first members of the community served as pastors, worked at an institution for persons who are deaf, and preached retreats, parish missions, and Lenten programs throughout the diocese. The fruit of such thinking resulted in the successful work of Fr. Charcosset, as a chaplain in the textile factory in Val-des-Bois, France. A few years later, Fr. Dehon sent several priests to work in the textile plants in Camarigibe, Brazil. Fr. Dehon’s vision of ministry was simply to “go to the people”—where they live and where they work—in addition to where they worship. When the young, well-dressed Dehon made his way through this area, the taunts directed at him fostered an awareness of the gulf separating the social classes. He experienced firsthand the intense hatred which the wretchedly poor harbored for the middle class to which he belonged. This district of Paris taught him about some of the problems of 19th century society as it experienced industrialization and increasing poverty. Later, as a priest in the factory town of St. Quentin, he remembered his experiences in Paris and got in touch with the local conference of the St. Vincent de Paul Society. Because of the tireless service of its members, he discovered how life was really lived by the ordinary worker in St. Quentin. Although charity was necessary, he began to see that it was not enough. The underprivileged had the right to social justice. Quite possibly, the St. Vincent de Paul Society opened the eyes and heart of this privileged, middle class man, seemingly destined for intellectual pursuits, and redirected his energies to a lifetime of social action. Because Fr. Leo John Dehon’s personal inclinations and academic training pointed to a ministry in education, he, along with his friends and mentors, found his first assignment as a priest a bit incongruous. His bishop appointed him as the seventh associate pastor at the Basilica in St. Quentin, a parish of 30,000 people, mostly factory workers. Men, women, and even children worked 12-hour days, often in dangerous working conditions, which left little time for family and less interest in the practice of their faith. Besides the pastoral duties shared by all the priests at the Basilica, the pastor gave Dehon the particular responsibility of teaching catechism in the primary State schools. In the first year at the parish, Fr. Dehon prepared about 100 boys for their First Communion. He soon realized, however, that this instruction was not sufficiently helping these boys, mostly from deprived backgrounds, to develop into mature Christians. Dehon quickly assessed the need for a place where boys and teenagers could gather outside of school or work for fun and personal betterment. In his first of several major projects in St. Quentin, Fr. Dehon established St. Joseph’s Youth Center. He began by inviting a few boys to join him in his office on Sunday afternoons. Soon he negotiated the use of the yard of a small boarding school, and finally, the pastor rented a building for Dehon to use. The youth center provided opportunities not only for games and socializing, but also for continuing education with conferences, remedial courses, and a lending library. In addition to a chapel, the center included a savings bank, lodging for young workers, and an employment agency. Soon over 500 young men were coming to St. Joseph’s Youth Center. Yves Ledure, SCJ, in his short biography of Fr. Dehon notes, “He was developing an educational project of much wider implications involving the human and Christian formation of the youth. He saw it as a pastoral ministry which allowed him to reach out to the workers.” Perhaps Fr. Dehon’s first assignment to a huge parish in a factory town was not so incongruous after all. In his Notes on the History of My Life, Dehon records, “We were able to occupy the House of the Sacred Heart [the first Novitiate] and celebrate Holy Mass on September 14, , the day of the Exaltation of the Holy Cross. Divine Providence has some enlightening coincidences. Was it not necessary that a work of reparation be founded on the cross?” Throughout the years on this date, Fr. Dehon often took the occasion to reflect on his embrace of the cross. At the heart of the whole educational process are the dynamics of the teacher-student relationship. Fr. Dehon posed this question: “What should our guidelines be if we are going to nurture their innate tendencies towards goodness? What is the dominant thought or principle that will encourage the child in his work and the performance of his duties and in the pursuit of virtue?” He goes on to list several possible means that might motivate a student to work. First of all, there is fear. That’s not a totally bad thing, and in any case it can never be completely eliminated from the educational process. However, to make it the pupil’s principal motivation, particularly in the beginning, would lead him to distrust the teacher and even school itself. He would construct a façade to placate the authority figures, but his true self would never emerge because of the threat of being punished. Ultimately, fear is a very destructive motivator. Secondly, Fr. Dehon mentions honor and shame as motivations. These emotions, too, will always be inherent in education—if you do well and receive awards, you are honored, and if you do poorly, you are embarrassed and ashamed. But, he said, these are not really Christian principles of education. The quest for honors encourages vanity and it often rewards the mere appearance of virtue, while gaining honors leads some students to a false sense of superiority and smugness. Fr. Dehon believed that the effects of education would be most enduring and persuasive when they were solidly grounded on Christian principles. He said that communicating Christian truths by word and example is the first step to changing the hearts and minds of individuals, and this is the necessary prelude to bring about a more just and humane world. The most striking fact concerning the condition of the working class is that workers are, for the most part, experiencing conditions of misfortune and unearned misery, as Pope Leo XIII says. Despite a certain amount of superficial progress, the worker is, in many places, less happy than formerly; his needs have grown more than his resources have, if in fact, the latter have not diminished. At the same time, the workers see immense wealth accumulating in a small number of hands; and Leo XIII does not hesitate to list among the present evils “the monopoly of work and of the productiveness of commerce, which has been acquired by a small number of the wealthy who thereby impose an almost servile yoke upon the working class” [Rerum novarum]. This imbalance leads to poverty with its inevitable consequences: ignorance, vice, temptations to crime, illnesses. Thus, things are going badly. But wealth is not something which is removed from human control like the rain and the rays of the sun. Money circulates by passing through human hands, and people have a moral experience regulated by higher laws. The effect of wealth is felt through the operation of institutions established by men. Thus the actions of individuals are involved. If things are going badly, it is in large part because people are behaving badly. If each person who earns, accumulates, and distributes wealth were to fulfill his duties of justice and charity towards others, then things would be ideal. On the other hand, if the same people ignore their duties towards their fellow men and if public laws promote such behavior or make social justice almost impossible, then things will go badly, and from bad to worse. The question of wealth is thus dependent on the question of morality. Renowned politicians and sages have asserted that the social question is insolvable. Such a theory is very convenient because it accords to those who accept it, ispo facto, the right to do nothing. It exempts them from a difficult and costly responsibility. No! Those laws are not inevitable. There is a force within Christian morality which can prevent their evil effects; and the free will which has established evil institutions can, through different laws, restore order, peace, and fraternal harmony to human relationships. In the summer of 1877, Fr. Leo Dehon negotiated the purchase of the building of a boy’s boarding school. The owner of the school invited Fr. Dehon to address the last graduating class before the institution became St. John’s High School in the fall of that same year. The following are excerpts from that speech. We come before you as educational advocates. We fully realize the importance of the work that we are undertaking. We fully understand our responsibility towards parents who entrust to us what they hold most dear, towards the society from which we shall train a few selected members, and towards God, who loves childhood so much and who wishes to see it treated with the utmost respect. Christian education does not neglect the importance of physical development. It is concerned with hygiene and exercise. It regards the letters and sciences as essential in developing the most fundamental faculties of the mind; it fosters judgment through philosophy and history, taste through knowledge of literary and artistic models, conscious decision-making and integrity through religion, and manners and temperament through the polite civilities customary in well-bred society. To raise a Christian involves not merely imparting concepts of human knowledge which will help him to do well in life. It involves not merely imparting good manners or profound knowledge or in making him into a person who has the ability and desire to become involved in the progress of the human race. It also, and above all, involves forming a great and noble character, purity of morals, the masculine virtues. It involves fostering the growth in his soul of the faith which opens up the invisible world to understanding, the hope which fortifies the heart through the expectation of deserved happiness, and the love which renders God tangible amidst the cold shadows of life. To raise a Christian is also to raise a person of generosity, a person of sacrifice and commitment, a person who has thrown off the yoke of egotism. Whatever career he may embrace one day–priest, soldier, farmer, industrialist, or judge, the disciple of Christian education will bring to it that ardent and profound conviction that he has a regenerative influence to exercise in terms of word and example. Everything that God has given him in terms of talent or genius, everything which education has imparted to him in terms of intellectual and moral strengths; all of this will not only serve him in doing credit to this life; it will also be the instrument of the good which he must do. In the position in life which Providence has accorded him, he will be the missionary of virtue and the living image of Jesus Christ. Such is the purpose of Christian education. Such is our purpose. There are certainly many new ideas of which Christian educators had not dreamed. We do not intend, in preserving the substance of the great method of our ancestors, to reject improvements and modifications with which time and experience have provided us. The progress of the sciences demands that they be given a more important place in education. History, enriched by oriental discoveries and by the study of sources, must be taught more comprehensively. Since the Latin language is no longer the language of law, medicine and philosophy as it formerly was, it is no longer essential to know how to write it and speak it; it is sufficient to be able to understand its masterpieces. The case of communication with other nations imposes on us the need to know the living languages. The development of industry has given rise to a new system of studies, which occupies a middle ground between primary education and the humanities. The growing use of engraving provides a new resource for enhancing the appeal and usefulness of our academic books. We have no intention at all of scorning these changes which are imposing themselves and of neglecting the progress which is being made. We shall amplify the common framework of existing programs by ennobling them through means appropriate to Christian education and by making them as complete as the rapidity of present-day change allows. Born in 1599, the eldest son of a master shoemaker in Flanders, John Berchmans’ youthful interests focused on theater and priesthood. He acted in mystery plays throughout his short life. When he turned thirteen, his father decided that John had to leave school so that he could support the family. Working as servant to a Cathedral priest, however, enabled John to attend seminary classes and continue acting in his free time. After professing vows, he studied in Rome for three years. Unfortunately, soon after he completed his course in philosophy and defended his thesis in a public debate, he became ill and died in 1621, at the age of 22. The Church canonized John Berchmans in 1888, just ten years after the founding of the Priests of the Sacred Heart. His feast day is August 13. Fr. Dehon chose this youthful saint as a model for young religious. “What raised St. John Berchmans to sanctity was the fact that he did everything, even the most common things, in a non-common manner, from supernatural motives, in the spirit of living faith, from pure love of God, with the purest intention, in the presence of God, and in close and uninterrupted union with our Lord. In this way he became a splendid example for us. “His life, so short and nevertheless so rich in virtues and merits, rose to the throne of God as a pleasing holocaust of the faithful fulfillment of duty and of pure and generous love. He is a model for all those who are preparing for the sublime dignity of the priesthood, as well as for all who have received the great happiness of being called to religious life. What gratitude his vocation inspired! What esteem and love he had for it! With what love and filial abandonment he was attached to his holy Order! He understood these words addressed one day by our Lord to his apostles: “You have not chosen me, but I have chosen you” [John 15:16]. During July and August of 1925, there was an epidemic of gastro-enteritis in Brussels and Fr. Dehon contracted the malady. His general condition was such that his physicians expected him to recover. On Sunday night, August 9, he suffered another attack, together with an impairment of his heart. On Monday, he provided flowers, greetings, and a present for his assistant’s feast day. Fr. Philippe informed him on Tuesday morning that the doctors believed his life was drawing to a close and recommended the reception of Extreme Unction. “Yes, yes, with pleasure,” Fr. Dehon replied. He also wanted to renew his vows. He asked for his crucifix and renewed the vows of poverty, chastity, and obedience, to which he added, “and immolation.” He repeated the renewal several times and then exclaimed, “I give myself completely. Referring to all his acquaintances, the members of the Congregation, the Sister-Servants, the Sister-Victims, his niece, cousins and nephews, and all his friends, he said, “Tell them that at this moment I am thinking of them all.” Then he asked God and man to forgive him for his sins and imperfections. That same day, he asked Fr. Philippe to write a letter to an old acquaintance of Fr. Prevot who was to celebrate her feast the following day. In the evening, he asked a Brother to bring him a rosary from his desk. Fr. Dehon blessed it and gave it to the Brother to keep and said, “Very soon I shall be greeting your father in heaven. On Wednesday morning, he began to suffer from severe chest congestion, which indicated that death was near. “I have so much pain,” he sighed, holding his hand over his heart. Shortly before he expired, Fr. Dehon pointed to a statue of the Sacred Heart and said clearly, “For him I live and for him I die.” He died at about ten minutes after twelve on Wednesday, August 12, 1925. Seven days later, at the funeral service held at the basilica, Bishop Binet eulogized Fr. Dehon as citizen and priest. “What a prominent place this city of St. Quentin had in the life of the octogenarian, of the great French citizen, of the excellent priest whom we mourn! He came from La Capelle with a vast accumulation of knowledge seldom found in a young priest. But like all good priests, he did not shut himself up in the ivory tower of his intellectual superiority, but threw himself wholeheartedly into work, especially among laborers. “What matter of importance was undertaken in the field of religion at St. Quentin for twenty years without Fr. Dehon having his hand and also his heart in it? In his case, the man of action was never at odds with the man of learning. I wonder whether Leo XIII’s encyclical, Rerum Novarum, ever knew a more zealous apostle. Reflecting on his early childhood, Fr. Dehon recalled that he liked to set up altars and decorate them with summer flowers. This naturally led to another interest. “I soon took a liking for gardening,” he wrote, and derived great pleasure, not only from his own garden, but also from the variety of trees and flowers he encountered throughout his travels. When World War I confined Dehon to the House of the Sacred Heart in San Quentin, he had more time to work in and reflect on his garden. “Even in winter,” he muses, “my garden is still delightful; its many evergreen shrubs are reminiscent of gardens in the South. Its extensive ivy covers the entire far end. There are green laurels, Mediterranean shrubs, twin boxwood trees, firs, cedars, a lovely blue spruce, green and colored curly holly, and plum trees. Yew trees are standing guard in large pots.” Although he admires the winter look, he clearly anticipates spring. In March, pansies and violets, “sentimental and symbolic flowers,” are among those first to appear in his garden. “White and pink lilacs give fragrance to our small bouquets,” with which he adorned the chapel. He delights in the “many irises—white, mauve, and multi-colored,” that remind him of Japan. “What marvels the divine artist has planted on earth for our pleasure and relaxation. The Canticle of Daniel sums up these divine gifts in two words: ‘Everything growing on the earth, bless the Lord!’ [Daniel 3:76]. Our Lord directed his apostles to admire them: See the lilies (the word in Hebrew means flowers], they are growing with God’s blessing and their radiant colors surpass the brilliance of Solomon’s glory” [cf. Luke 12:27]. I paid a visit to Dr. Kelly, the affable director of the Catholic Church Extension Society. It’s a new apostolate full of promise. It was founded in 1905. Dr. Kelly combines the qualities of a perfect gentleman with the zeal of an apostle. This society has its counterparts in Europe: the St. Francis de Sales Society in France and the St. Boniface Society in Germany, whose goal is to spread the faith within their own lands. Naturally in America, it is run the American way. Its headquarters is located in one of the finest buildings in Chicago overlooking a park. Inside its offices you find all the modern means of communication: telephones, stenographers, typewriters. It is truly a center of the American apostolate. The purpose of the Society is to build churches and schools for the Catholic immigrants who are flocking to the United States at the rate of six or seven hundred thousand per year. If these new arrivals can be helped to preserve their faith, it seems certain that half of the population of the country will be Catholic in 25 or 30 years. A quarterly journal, Extension, informs its readers of its needs. Its current resources are about six thousand dollars a month. The Society has its own Pullman car which serves as a chapel on wheels and it goes all throughout the country bringing missionaries to carry out their work. American railroad companies transport the car free of charge. Everyone going to the Eucharistic Congress in Montreal, including the Cardinal delegate, visited the chapel-car in the station. I had the pleasure of riding in it from Chicago to Detroit. Leo John Dehon, Daily Notes, from the account of his trip around the world [1910-1911]. Mary Magdalene knows neither fear nor hesitation. She is at the foot of the cross with the Blessed Virgin and St. John. Carrying the winding-sheet and the perfumes, she buries Jesus. The great Sabbath keeps her away from the sepulcher, but she returns to it as early as possible after the Sabbath. She seeks her crucified Jesus. Mary Magdalene and the holy women are models for us in seeking Jesus. Let us always seek him; let us seek him everywhere. Let us seek him, not merely to enjoy his presence, to receive gratuitous and extraordinary graces from him, but let us seek him in order to understand his love, to imitate his example, to immolate ourselves with him. The angel said to the holy women, “Fear not, you seek Jesus crucified.” Neither have we anything more to fear. If we seek Jesus crucified we cannot deceive ourselves. “Do not touch me,” says Jesus. He demands pure love, disinterested love. He wishes that we accept aridity, and that in seeking him we may learn how to do without the sweetness of his presence. Let us seek Jesus with the eager love of Mary Magdalene. We cannot always be near him in prayer. Let us learn, too, how to serve him in the person of his followers. Jesus said to Mary Magdalene, “Go to my brothers and say to them, ‘I ascend to my Father and to your Father, to my God and your God’” [John 20:17]. Let us seek Jesus faithfully and let us nevermore abandon him, neither through fear nor discouragement; neither because of our past life, nor because of present temptations or persecutions. “For the past century we have had devout people who prayed like Moses on the mountain,” Fr. Leo John Dehon wrote in a Catholic newspaper article, but went on to suggest, “valiant people who fight like Joshua on the plain must be added.” Dehon was attempting to enlist lay people in the struggle for social justice. In agreement with Pope Leo XIII, he envisioned the Third Order of St. Francis as an organization of people who could fight as well as pray. In another Catholic newspaper, Dehon sounded the same theme. “Leo XIII is a passionate lover of Francis of Assisi. Many times he has tried to direct all zealous Catholics, all Catholics who are ardent supporters of social reform, toward the seraphic patriarch. The Third Order, he tells us, is the solution par excellence to the present social malaise. It includes all the necessary elements for reform. The malaise is the result of a weakening of the Christian spirit. The principal factors in the present social disorder are egoism and the passion for wealth. “If you put a few groups of true Tertiaries in our cities, they will be the salt of the earth, the lightning rod against the storms of social conflict. They will spread a leaven of charity, justice, and solidarity throughout social life. “Have you not read the last letter which the Pope sent to the Franciscans and which was reprinted in the newspapers? The Pope returns again to the social mission of St. Francis and his Order. He recalls that the 12th century resembled our own, a century of great commercial development, but also a century of civil troubles, religious relaxation, passion for wealth, and oppression of the weak by the powerful. God sent Francis of Assisi, who re-established social peace through the institution of the Third Order, by bringing about a re-birth of simplicity of mores and vitality of faith and by bringing the strength of unity and solidarity to the oppressed, in order to curb feudal abuses and the canker of usury. Leo John Dehon writing in La Chronique du Sud-Est, November 1898, and La Democratie Chretienne, October 1900. The Priestly Heart of Jesus dearly loved his native land. He relished and faithfully fulfilled his civic duties and invited us to do the same. Jesus loved Nazareth. He tried to win its affection. When repulsed by its inhabitants, he did not curse the town [Mark 6:1-4]. He loved Capernaum which he had adopted as his residence and where he exercised his first ministry. He showed favors upon it and wept over its ingratitude [Luke 4:23; 10:15]. How tenderly he loved Jerusalem! When he was coming down from Bethany, he stopped on the slopes of the Mount of Olives and wept as he gazed at the ungrateful city which was about to undergo the severest siege recorded in history, and at the beautiful temple which was to be inevitably destroyed [Luke 19:41-44]. Jesus explicitly teaches us to fulfill our civic and political duty. “Render to Caesar the things that are Caesar’s” [Matthew 22:15-22]. Pay your taxes like anybody else [cf. Matthew 17:24-27]. St. Paul comments on Jesus’ words: “Let every person be subject to the governing authorities; for there is no authority except from God, and those authorities that exist have been instituted by God. Therefore whoever resists authority resists what God has appointed…for it is God’s servant for your good…For the same reason you also pay taxes…Pay to all what is due them—taxes to whom taxes are due, revenue to whom revenue is due, honor to whom honor is due” [Romans 13:1-2, 4, 6, 7]. There is, of course, one exception, the case where civic authority commands what is openly contrary to the law of God: “We must obey God rather than any human authority” [Acts 5:29]. Let us then be good citizens, devoted to our country and to all its interests, moral and material. As founder of a religious community of men, Fr. Dehon would not have had to say that if the members perfectly loved one another. But far more than a criticism, this reality is the starting point of a faith-filled life. In their Rule of Life, the Priests of the Sacred Heart state, “Our community life is the fullest realization of our Christian life—we let ourselves be permeated with the love of Christ. “Imperfect, certainly, like all Christians we want however to set up a milieu which is favorable to the spiritual progress of each one. How else to attain this, if not by deepening in the Lord even our most ordinary relationships with each of our brothers? Charity must be an active hope for what others can become with the help of our fraternal support. In other words, the most wonderful of treasures is meant to transform the world. Allowing oneself to be permeated with the love of Christ, and consequently being a sign of the communal relationship for which people thirst, is the only appropriate way to celebrate the Solemnity of the Heart of Jesus. “I have greatly desired to eat this Passover with you” [Luke 22:15]. During his whole life Jesus hungered and thirsted for this day of the Passover. He wished to reveal this source of life, to begin this intimacy with us. The Eucharist was the source of all the gifts his Heart was offering us. It is not only a special gift, a particular favor which this generous Heart bestows upon souls he loves, but we have here at once and the same time all the gifts, all graces contained in the one gift alone. Regardless of the need of a soul in this life, it is here he will find the assistance, the remedy, and the resources for everything. The Eucharist is a summary of all the gifts this God of mercy has given us. Souls tried by temptation, afflicted by disgrace, troubled and wavering, the poor, the infirm, and the dying: all find comfort in this divine remedy. Pious souls who long for love are invited to approach this friend. In him they have a Friend who gives them advice, the Model of holiness, the Guide of infinite Wisdom. Numberless souls have found in him a never failing treasury which completely satisfies every want. In this sacrament Jesus is always present, always at our disposal. He is everywhere; he belongs to everyone. All the gifts of the Eucharist are marvelous gifts. Our Lord wished to give us not only the fruits of his infinite charity but also the tree itself that bears these fruits. He gives us himself, his Heart, the source of all mercy. In giving himself he gives everything, reserving nothing to himself. He gives us his humanity with all the merits of his mortal life. He gives us his divinity with all the treasures of his wisdom, power, and goodness. There are no limits whereby we may be enriched except those we ourselves determine by our disposition and capacity. Yet, there is more. In the Eucharist Jesus also wished to show us the love of friendship, of intimacy. He desired to dwell with us, to converse with us, to permit us to abandon ourselves to him in the most confident familiarity, such as he permitted to his apostles, especially St. John. Indeed, the liberality of our Lord was boundless. As St. Denis says, “It seems he was beside himself in his friendship for us.” Jesus is the merchant in the gospel who sells all his possessions to acquire the one pearl he deems rare and of great value [Matthew 13:45-46]. This pearl is our poor heart. Jesus wishes to be entirely ours so that we may be entirely his. Reason would reject such a proposal if faith did not impel us to accept it. For a long time, I looked for difficulties where there are none, to honor and live the Holy Trinity. I wanted to sound the mystery. Now this devotion seems quite simple to me, it speaks to the heart. We must consider the persons distinctly. The Father is my Creator, the author and preserver of life. To him I owe everything. He is much more my father than the one the family gives me. I want to love him with all my heart, with simplicity even with familiarity; I trust in his providence and in his mercy. The Word, Son of God, First-born, is my eldest brother, my big brother, and how loving and devoted he is. He became man in order to be my brother even more intimately, in order to save me from shipwreck, in order to suffer and to die for me. I love my big brother; I want to listen to him, follow him, and imitate him. I want to live with him always. The Holy Spirit is my divine director. I have always loved my directors—how much more must I love the Holy Spirit, of whom they are but shadows. Like a son, I want to consult him always and follow his counsels. “Establishing a congregation was a great work,” Fr. Dehon wrote to his spiritual sons on the occasion of his seventieth birthday, “we have been working together at it for thirty-five years.” After reviewing the congregation’s beginnings that included the encouragement and assistance of many, its subsequent struggles, and the development of local apostolates, Dehon turned his thoughts to the missions. “I have placed the foreign missions in a special category,” he wrote, “they deserve it. At the outset there were eight wonderful years of work in Ecuador, with anxieties and sufferings, but also with successes and abundant harvests. A barbarous persecution drove us out. Our ghosts from Ecuador retook the mission trail towards Congo and Brazil. “Fifteen more years have now passed, and our fine Congo vicariate numbers 20,000 descendants of Ham [a biblical reference to Noah’s son, who is identified as the ancestor of African peoples]won over to the gospel; and in the vast regions of Brazil, both north and south, faith is reawakening, Christian families are being rebuilt, and innumerable souls are returning to the use of the sacraments. Over 100 years later, the “mission trail” has greatly expanded. Echoing the passage from the Acts of the Apostles [2:1-11] describing the day of Pentecost, we could report to Fr. Dehon that the members of his Congregation, the Priests of the Sacred Heart, filled with the Holy Spirit, speak in different tongues as the Spirit enables them to proclaim. People from every nation under heaven hear SCJs speaking in their own language—people from Canada and Chile, Spain and South Africa, Brazil and Belgium, Philippines and Poland, Indonesia and Italy, United States and Uruguay, Argentina and Angola, France and Finland, Britain and Belarus, Ireland and India, Moldova and Mozambique, Cameroon and Chad, Venezuela and Vietnam, Albania and Austria, Congo and Croatia, Portugal and Paraguay, Maranhão and Madagascar, Slovakia and Switzerland, Germany and Ecuador, Taiwan and Luxembourg, Ukraine and Holland— speaking in their own language of the infinite love of God. Indeed, the Priests of the Sacred Heart have been working together for 136 years, so that, in the words of the their Rule of Life [#31], “the human community, sanctified in the Holy Spirit, would become an offering pleasing to God” [cf. Romans 15:16]. I arrived in Manila on December 5, 1910. Bishop Agius welcomed us graciously at his residence. I spent three wonderful days there. Bishop Agius had a difficult assignment; he had to reorganize the clergy of the Philippines, which had been decimated by the departure of the Spaniards. There are eight million Catholics there, which make it the only Catholic nation in Asia, but there are very few priests. Everything is made more difficult by the lack of resources. The new government confiscated the Church’s possessions. Priests are in short supply. Bishop Agius is appealing to the religious congregations, but they don’t have the resources to supply any. I went to see Bishop Petrilli. His diocese of Lipa has half a million Catholics and only seventy priests, half of whom are in poor health. The good bishop has some towns of twenty thousand souls and no priest; he finds this very distressing. If we had limited ourselves to the city we would not have had a very accurate understanding of the Philippines. Manila is a large Spanish city of 200,000 souls. The suburbs immediately reveal the distinctive characteristics of the country: there are wealthy homes with superb gardens, but there are also poorly constructed houses that are very primitive. A couple of poles and some matting becomes a house with a roof made out of palm branches. It is said that the population of the Philippines contains no less than 84 peoples or tribes who speak different languages. This does not make the missionaries’ work any easier. The Blacks, who number about 25,000, are probably the most primitive; they survive by hunting, and some of them live in trees. The “Maros” on the islands of Sulu and Mindanao are Muslims, and they are the most recent to arrive. The “Tagals,” who are Malaysian, are a resourceful and intelligent race; they number seven million and all of them are Catholic. If only they could become apostles for the whole of southern Asia where the Malaysian peoples are dominant! From Fr. Leo John Dehon’s notes on his seven-month journey around the world. “Each one has need of a counsellor, a director,” Fr. Leo John Dehon writes in the Spiritual Directory. “Does not God himself tell us to rely not on our own prudence, but to have some wise person from whom we can take counsel in all important matters? [Trust in the Lord with all your heart, and do not rely on your own insight…Do not be wise in your own eyes. Proverbs 3:5,7] All the saints, however enlightened they were in the ways of God, deemed it necessary to seek help from a director. If all the saints have acted thus, if the most eminent Fathers of the Church have set forth the necessity of this direction, shall we misunderstand its importance? The [Franco-Prussian] war lasted six months. It passed like a long and terrible nightmare, filled to overflowing with anguish and sufferings. My mayor [in Dehon’s home town of La Capelle] wanted to enroll me with the reserves. I was a priest; the law exempted me. However, I wanted to take whatever part I could in the defense of the Fatherland. I wrote one letter after another to my bishop to find me a place as chaplain. He wrote me that he would take care of it, but events went so fast. A few days after, the invasion came very close to us. We were, so to speak, in the theater of war. I remained there, foreseeing that I would have to exercise some of the functions of chaplain. For a good part of this month of November, we had at La Capelle a regiment of the Army of the North, composed entirely of Northern Reserves and men from the Pas-de-Calais. I was able to act as chaplain at my leisure. Every evening, we had a religious gathering at the church. The young soldiers did not fail. They knew that they were about to confront death in a few days. I preached to them daily. The majority made their confession and received communion. A few days after, they took part in all the battles of the North: at Villers-Bretonneux, Ham, Pont-Noyelle, and Bapaume. Several lost their lives. “My house shall be called the house of prayer” (Matthew 21:13). Our Lord wishes to be honored and adored in spirit and in truth, not only in the temples, churches, and chapels constructed by human hands, but above all, in the hearts of people whom he came to redeem. He wishes to take up his abode in them to obtain adoration and love, and to reign in them with his love and grace as a king in his kingdom and on his throne. Our Lord asks for our hearts that he may reign in them. Shall we refuse them to him? “Ask and you shall receive.” When we ask, we receive. He asks for our hearts; shall he ask in vain? He asks for our hearts that they may hear and understand him, love him truly and with a pure and undivided love. He knocks at the door of our hearts with infinite patience and clemency, with an ardent desire to be admitted therein, to take possession of them and to be loved. Can the souls that hear his prayer, that grant him the desired entrance, still doubt that they will receive all that is necessary from the infinite love and goodness of their God? Would they doubt him who wishes so earnestly to distribute his treasure, to unite himself to the hearts of his creatures, to communicate himself to them, to be loved by them, and to make them eternally happy in this love? Work is the sole means by which man can provide for his vital needs. The earth has the potential to satisfy those endlessly recurring needs, but its riches can only be made usable through work. Cultivation of the land, creation of industry, fishing, hunting, or gathering—all of these are forms of work. The natural riches themselves, raw materials, springs, forests, prairies, quarries, mines, and waterpower only become useful through the labor which uncovers them and utilizes them. Without work, useful or enjoyable things either would not exist or would serve no purpose. Since the occurrence of original sin, work has taken on the character of atonement. It thus has a new value. If it is a punishment, it has become a form of reparation, a remedy, and a preservative from sin as meritorious as it is salutary. Devoting himself for 30 years to laboring at a manual trade, and for three years to the labors of preaching, the Man-God gave true dignity to work. Thus, whether it be simply manual, intellectual, or artistic, once it is sanctified, it leads humanity to God, and it is always honorable or meritorious. Work must be shared and apportioned. In this infinite variety of occupations, each individual can put his talents to work with greater pleasure and utility. This is the way in which professions originate. Under Christ’s reign, there is no longer any servile function; all of the honest professions are honorable, but they retain their social hierarchy: the liberal professions and the economic professions. The latter have as their object the creation of material products, their exchange, and their transport. The various professions render reciprocal services to one another. Who will deny the happy influence of religion and morality, as taught by the priest, upon work and wealth? Who will deny the salutary effects of public power, science, the fine arts, and medicine? Work is not only a duty for man; it is also the means by which he must provide for his subsistence, the renewal of his strength, and the resources for raising his children. But since the development of industry, the wage system has become the most widespread form of remuneration of labor. It is therefore essential that the worker find in his wage the benefits which we have just enumerated. The first Priest of the Sacred Heart who came to the United States was, in all probability, Fr. Leo John Dehon. Participation in the Eucharistic Congress, held in Montreal, occasioned the trip that took him around the world. This journey, from August 8, 1910, until March 2, 1911, was not an excessive indulgence of his passion for travel, but rather a decisive step in the internationalization of the Congregation. Fr. Dehon spent about six weeks in the United States, visiting most of the major cities. On September 1, he records in his diary, “An excursion to Dubuque, Iowa, the Hawkeye State. This name probably is taken from an old Indian tribe. Dubuque is a minor city of 40,000. What drew me here was the prospect of starting a mission. Fr. Herr, the pastor of St. Mary’s, made the proposal that we set up a children’s home, what they call over here a training school. The bishop would donate a nice piece of land with a farm on a picturesque setting outside of town. I went to meet the good pastor of St. Mary’s. He is German and so is half the town. They are religious and industrious people. I also saw Bishop Kean. He is in poor health and too old to deal with such an important matter. We’ll see about this later on.” Despite the initial conversations, this ministry never materialized. Only after the devastation of World War I did Fr. Mathias Fohrman, SCJ, arrive in New Jersey on December 31, 1919. His immediate purpose in coming to the United States was to collect funds for the financially strapped German Province. However, he was also to look for the opportunity to establish the Congregation on American soil. After three lonely years as the only SCJ in America, while engaging in the difficult and distasteful task of begging for money, his Superiors informed him that the Bishop of Lead, South Dakota, would welcome him to minister on the Indian reservations of his diocese. On Palm Sunday, 1923, Fr. Fohrman took possession of the mission church in Lower Brule, South Dakota. This mission became the springboard to launch the Congregation’s efforts to establish an American identity and eventually an American Province. Only three years later, Sacred Heart Mission House and Minor Seminary in Ste. Marie, Illinois, welcomed its first three candidates. St. Joseph Indian School in Chamberlain, South Dakota, began to receive children in the fall of 1927, and by mid-1929, there was a Novitiate at Sacred Heart Monastery, Hales Corners, Wisconsin. Surprisingly, in the spring of 1934, the fledging community received a document from Rome announcing the establishment of the American Province. According to Father Kiefer, an early SCJ pioneer in America, the community had not requested it. He later found out that when the Superior General had gone to the Vatican to present his Five-Year Report, the pope advised him to create an American Province as a precaution against the possible outbreak of war in Europe. He reasoned that dependence on Europe in a time of war would hinder the growth of the American foundation. April 25, 1934, marked the establishment of the Province. At that time the professed members of the community included 14 priests, 7 brothers, 12 students, and 4 novices, living in six community houses. “In the mysteries of my Passion,” Fr. Dehon imagines Jesus telling a disciple, “I am truly a book written within and without (Revelation 5:1), and what is written there is my love.” In this meditation from the book, The Life of Love towards the Sacred Heart of Jesus, Fr. Dehon continues speaking in the person of Jesus. “The whips, the thorns, the nails have written it in letters of blood on my divine flesh. Do not be content to read and admire this divine writing on the outside. Penetrate to my very Heart and you will see a still greater marvel, which is love itself, the inexhaustible love that considers all that it suffers as nothing and which gives itself without ever tiring. “It is the vocation of souls devoted to my Heart to strive always to discover my love under the surface of all the mysteries, and where is this more evident than in my Passion? If you do not see it there, or see it only superficially, you will draw little benefit from these great mysteries of suffering and little glory will be given to God. In another mediation book, “The Love of the Sacred Heart, Three Months of Meditations,” Fr. Dehon speaks of making a return of love to Jesus, whose Heart reveals inexhaustible love. “The special purpose of the devotion to the Sacred Heart is not to imitate the Savior in his external sufferings, at least not in a direct way. The friends of the Sacred Heart do not have to impose the mortifications and terrible penances of the Desert Fathers upon themselves. Rather, they ought to strive to come close to the Sacred Heart, and as a consequence, they will be filled with loving gratitude and compassion. Dispositions such as these will prompt them to accept physical suffering generously, if Divine Providence sends it to them. Leo Dehon spent six years pursuing seminary studies. His training included philosophy, in which he obtained a doctorate after his first year of study, and theology and canon law, in which he obtained doctorates during his final year of study. In between, the Franco Prussian War and Italy’s invasion of the Papal States postponed his education, while his work as a stenographer at Vatican I enriched it. After one particularly stressful night, he soberly admits, “My life is not going to last much longer. I thought I was dying last night. I had a violent attack of bronchitis, without being able to break up the congestion. I was suffocating, I was strangled. I believe little more was needed and it all would have been finished. The infirmities of old age are a daily reminder. All the organs weaken. It is a worn out ship that will sink one of these days.” Yet, Fr. Dehon lived ten years longer. Fr. Leo John Dehon, founder of the Priests of the Sacred Heart, cherished his spiritual life, but not to the degree that it separated him from everyday life. Indeed, his spiritual life motivated him to address the pressing needs of his day. “In memory, I again go over my whole participation in the Christian social movement. It was a vocation, a providential mission. In 1872, I founded the Patronage [St. Joseph Youth Club]. To it, I added successively the Circle [Catholic Workers’ Circle], the Association of Christian Employers, and a meeting for social studies [Catholic Youth Circle]. “I promoted beautiful Congresses [sponsored by the diocesan Social Services Office]: in 1875 at Notre Dame de Liesses, in 1876 at St. Quentin, and in 1878 at Soisson. I attended the Congresses of the Workers Movements. For several years we had diocesan meetings for social studies at Soisson, at St. Quentin, and at Laon. Out of them sprung the Christian Social Manual, which received great publicity and sold more than 10,000 copies. “In 1893, diocesan meetings at Liesse! For ten years, annual meetings [of seminarians] for study at Val-des-Bois [site of a textile factory, which Dehon proposed as a model for positive social initiatives], where I was often. Throughout 1896, meetings at St. Quentin, a Workers Congress at Reims, a National Congress, and Ecclesiastical Meetings! A Democratic Congress at Lyons. “In 1897, 1898, and 1899, conferences at Rome, honored by the presence of several Cardinals and encouraged by Pope Leo XIII. I published these conferences in several volumes: Social Catechism, Christian Restoration, and Pontifical Directions. Several of these volumes have been translated into Italian, Arabic, Hungarian, and Portuguese. They became classics in several seminaries of France and Italy. Additionally in 1897, conferences at Mende, Allais, Nimes. In 1900, a Congress at Cahors, a Franciscan Congress at Rome, and a Congress at Bourges. “Practice worked hand in hand with theory. The projects of St. Quentin continued. They were reproduced in suburban parishes by priests whom I had trained. At Val-de-Bois in particular, by my collaboration with Mr. Harmel [the factory owner] over a period of thirty years and in Brazil for twenty years with the Christian employers of Camaragibe. “I was baptized on March 24 (1843), on which were prayed the First Vespers of the feast of the Annunciation. Later I was happy to connect the memory of my baptism with that of our Lord’s Ecce Venio. I drew forth a great confidence from this coincidence. The Ecce Venio of the Heart of Jesus has protected and blessed my entrance into the Christian life. Our Lord doubtlessly will not begrudge my seeing here a mark of Providence, considering my actual vocation of Priest-Victim of the Heart of Jesus. “I have always had a ceremony on the anniversary of my baptism. In college, I liked to renew the promises. At Rome, the wonderful book of Exercises of St. Gertrude came into my possession and did me much good. I loved to use it, to renew in myself the graces of my baptism. On every one of my vacations, I used to make a pious pilgrimage to the sacred font of my baptism and felt an anguish of heart when the old urn was concealed by an altar and then disappeared completely. “I was given the name of Leo Gustave. I loved my saintly patrons and for thirty years I have invoked them daily. For patrons I took St. Leo the Great, whom I consider the most powerful among the saints bearing this name, and St. Augustine, because the name of Gustave is not the name of a saint but only a derivative of Augustine. How happy I am to have such noble and great patrons, two of the greatest doctors of the Church! I hope they will later receive me as a friend; I have so often shown them marks of friendship and confidence. In his personal journals, Fr. Leo John Dehon often used the anniversary of his birth to focus on his faults and to accuse himself of losing so many graces. His only recourse was to ask for forgiveness and rely completely upon God’s mercy and friendship. In 1913, however, he allowed a somewhat more positive reflection. ‘Very Reverend General Superior, it has pleased his Holiness to learn that the members of the Congregation that you founded in 1877 have proposed to celebrate the 70th anniversary of your birth and to offer you on this occasion a special testimony of their affection and devotion. ‘The Sovereign Pontiff, who is not unaware of your zeal, your dedication, and the works that you have established, most willingly unites himself to the joy of your religious family, while he calls down abundant heavenly graces on your person, your Institute, and your works. With all his heart he sends you, together with his congratulations and best wishes, a special Apostolic Blessing, which extends to the members of your Congregation.